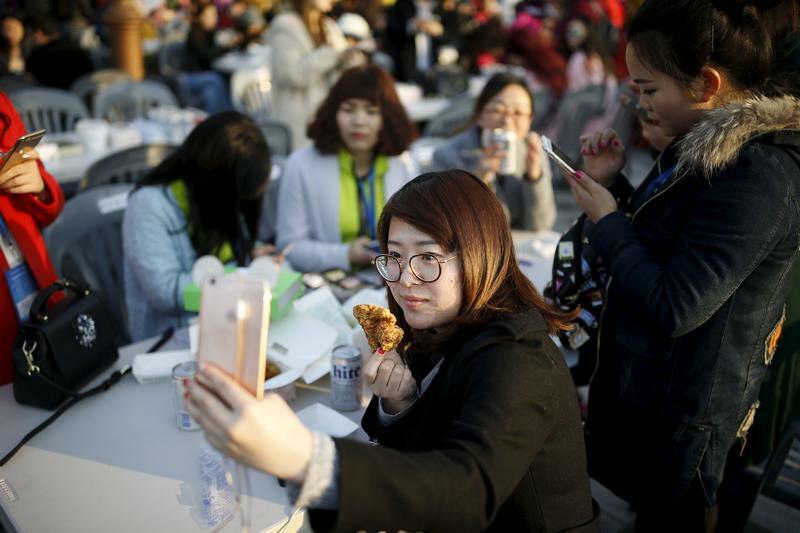 China’s selfie IPO only looks good in a certain light. Meitu wants a valuation of up to $5.2 billion in its Hong Kong initial public offering, the city’s biggest tech listing in a decade. The company’s user base is growing fast, thanks to photo and video apps that have features like virtual makeup and skin whitening. Any beauty here is skin deep, however. Meitu, which is raising up to $710 million, is backed by notable venture capital investors including IDG-Accel China and Tiger Global. It is fast becoming one of China’s largest social media platforms: over 450 million people use the company’s apps to touch up selfies and share videos each month. At $5.2 billion, Meitu’s users would be worth roughly $11 each. That looks cheap for a fast-growing social network. Each Facebook user is worth almost $200, based on the company’s current market capitalisation, while Twitter users are valued at $42 each. At the top of the price range, the Xiamen-based group will be valued at over 25 times expected 2018 earnings, according to IFR, a Thomson Reuters publication. To compare, social media giant Tencent, which is also listed in Hong Kong, trades at some 23 times forecast 2018 earnings. But the valuation assumes Meitu can make a success out of its plans to build a “social e-commerce platform” to sell things like lipstick to its users and tap China’s fast-growing online advertising market for revenue. Currently, the company is loss making and makes almost all of its revenue from selling its branded smartphones. Mainland investors might buy the hype but the look doesn’t travel so well. Few outside China will have heard of Meitu or get the craze for its selfie apps. The company’s widening losses also make it a hard sell for prospective buyers struggling to see past an unattractive hardware business. This is a beauty IPO with an image problem. Chinese photo app and mobile phone maker Meitu plans to raise up to HK$5.51 billion ($710 million) in an initial public offering in Hong Kong. The company is selling 574 million shares – roughly 14 percent of the enlarged share capital – at an indicative price range of HK8.50 to HK$9.60 per share. The company has secured two cornerstone investors to take up as much as 25 percent of the offering. Chinese groups Kingkey Enterprise will subscribe for $120 million of shares and Ports International will subscribe for $40 million. Shares of Meitu will start trading in Hong Kong on December 12.
Credit Suisse, China Merchants Securities and Morgan Stanley are joint sponsors.